Hello everyone and welcome back. I am so excited to continue on with our next three topics: China, Silverware and Glassware for the table. Now, fine china can be used in a formal dining setting and dinnerware for a more casual dining setting. 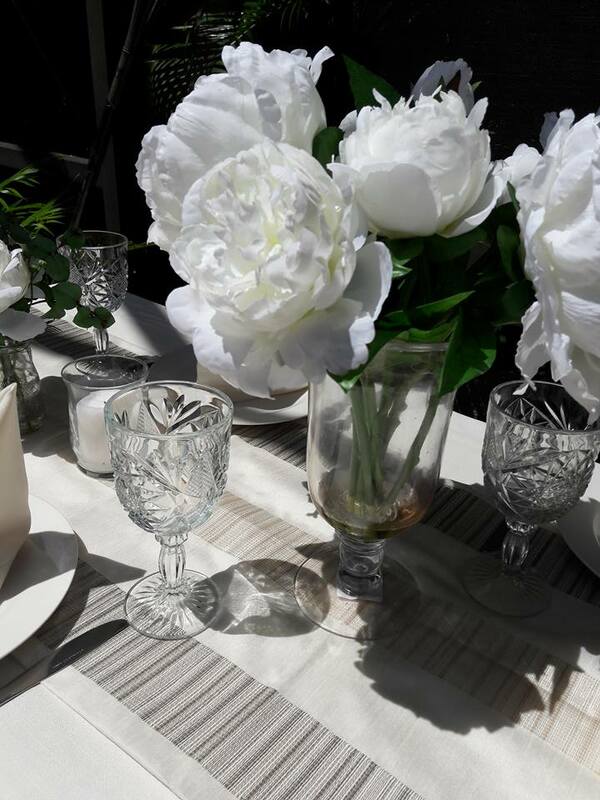 You can use fine china or dinnerware the choice is yours; however, the type of setting you use will depend on your event. Fine china, when you read the label, will usually say Bone China and/or Porcelain China, there are a few others, but for the most part these are the most commonly used settings. If using fine china, remember the under-dressings of the table should match in similar quality – so if at all possible you do not want to use polyester, or less quality fabric, under your precious fine china. And you should do the same for your glass or stemware and flatware. Oddly enough, I’ve dreamed of hosting a formal dinner party and setting my table with china where none of the pieces match, now that would be fun – interesting nonetheless. Glassware – can be traced all the way back to Mesopotamia 3500 BC. When it comes to glassware here are a few things to consider: glass, stemware, and crystal. Glasses usually have and thick solid bottom and stemware have a slender stem with a narrow flute like opening typically for a wine or champagne. The important thing to remember here is you are consistent, if your theme is formal, keep it formal, and if casual than keep it casual. Cutlery/Flatware – the knife goes all the way back to ancient man used in hunting, cutting and eating. The spoon came into play second and was made of wood. The fork was last originating in the Orient. During the Renaissance is when silverware became elaborate, being made of real silver from a silversmith and then of course the knife, fork, and spoon was considered a set – and that’s when dinning went to a completely new level. Different social settings and gatherings calls for new and different utensils to be invented such and teaspoons and dessert forks. This was also the time when silverware became very ornate and was considered to be one of the best gifts received. Therefore, whether it is gold, silver, or just plain metal (stainless steel), make sure your wares are polished and shinny and they will make your table sparkle. That is all for this week friends, the next part of our miniseries we will bring it all together and tie up any loose ends and make sure we haven’t forgotten anything in the miniseries continues, be sure to come back next week, you don’t want to miss it – until next week everyone – Life and Beauty to your homes.